Editor’s note: This is the first article in a series of New Dentist Now blog posts on practice ownership from Wells Fargo Practice Finance, the practice lender endorsed by ADA Member Advantage. Do you want to work for yourself or someone else? To help you plan your path, be clear on exactly what you want — both long- and short-term goals — to help ensure that your next steps are in alignment with your career and personal goals. As you’re launching your career and deciding on the next steps for your practice, this question may arise: Do you want to work for yourself or with a team of partners? As you begin to weigh the pros and cons of each option, consider the following questions to help you explore which path may be right for you and your practice. Are you confident making decisions on your own, or do you prefer to seek advice from colleagues? Individuals who thrive as solo practitioners may have the necessary experience and confidence to make decisions on their own for their patients and for the success of their practice. This approach comes with responsibilities: determining the optimal course of treatment for each case, choosing a practice style, and selecting the office’s technology, environment, marketing, and customer-service strategies. In a group practice, dentists have the opportunity to consult with their colleagues about difficult cases, providing younger dentists the ability to learn from mentors and develop their patient-relationship skills. Dentists in a group practice make decisions about operations as a team, which requires more communication and collaboration but also offers a chance to share ideas and experiences. Do you like managing day-to-day operational and administrative tasks, or would you prefer to share those duties? Dentists who practice solo are responsible for much more than treating patients. They need to negotiate with insurers, which can be a large undertaking for a small practice. They also need to effectively hire and retain support staff, motivate everyone to work toward the success of the business and delegate administrative tasks. 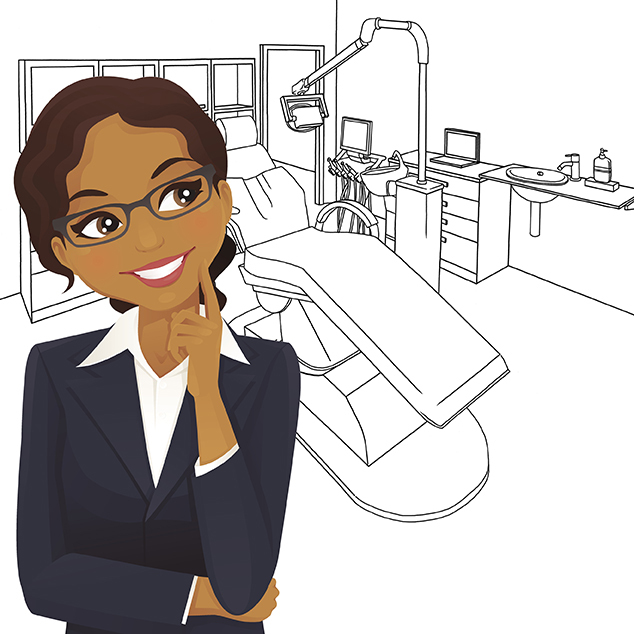 Dentists who join a group practice may be able to choose their areas of specialization. They have fewer management and administrative responsibilities so they may choose to spend more time with patients. They also may achieve greater clout so that they can negotiate with insurance companies, which may lower prices for patients. However, participating in a group practice may also limit leadership opportunities for each partner. Are you seeking a more flexible schedule or higher income potential? As a solo practitioner, patients will only be able to receive care when you can be in the office. This means that office hours may not be convenient for you or may be less flexible than your patients may like. Plus, if you take time out of the office for industry meetings or vacations, you’ll have to cancel patient appointments accordingly. However, as a solo practitioner, your overall income potential may be greater since you won’t need to share profits with anyone else, and you have sole control over your operating costs. Joining a group practice, conversely, may offer greater stability, with a more predictable salary and lifestyle. Your practice can have longer hours, which can be more convenient for patients. There may also be more flexibility, since patients can continue to receive care when you are away from the office. But because this is a group practice, the financial success of the practice will be shared among more partners, which may limit your potential income. Before you make a decision, consider making a weighted pros and cons ranking worksheet to help you evaluate your options. On one side of a piece of paper, list the advantages of the type of practice you are considering. On the other side, list the drawbacks. Then, assign a point value to each item based on how important it is to you. For example, a high-priority advantage might receive a value of +5; while a slightly unfavorable drawback might receive a -1. Subtract the total cons from the total pros. If your result is positive, you might be ready to do more research about that type of dental practice option. Whether you decide to remain a solo practitioner or join a group, keeping in mind what aligns with your current work-life situation and plans for career growth can help you decide which is best for you. Wells Fargo Practice Finance is the only practice and commercial real estate lender recommended for members of the American Dental Association.